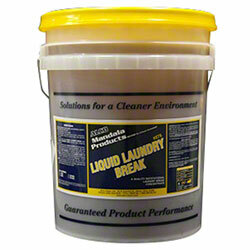 Alco Liquid Laundry Break - Alco-Chem, Inc. Heavy duty, high alkaline builder. Improves performance of detergent while emulsifying stubborn soils.